We formulate the problem of 3D human pose estimation and tracking as one of inference in a graphical model. Unlike traditional kinematic tree representations, our model of the body is a collection of loosely-connected body-parts. In particular, we model the body using an undirected graphical model in which nodes correspond to parts and edges to kinematic, penetration, and temporal constraints imposed by the joints and the world. These constraints are encoded using pair-wise statistical distributions, that are learned from motion-capture training data. Human pose and motion estimation is formulated as inference in this graphical model and is solved using Particle Message Passing (PaMPas). PaMPas is a form of non-parametric belief propagation that uses a variation of particle filtering that can be applied over a general graphical model with loops. The loose-limbed model and decentralized graph structure allow us to incorporate information from “bottom-up” visual cues, such as limb and head detectors, into the inference process. These detectors enable automatic initialization and aid recovery from transient tracking failures. We illustrate the method by automatically tracking people in multi-view imagery using a set of calibrated cameras and present quantitative evaluation using the HumanEva dataset. This work was performed when L. Sigal and M.J. Black were at Brown University. Intel Open Source Computer Vision Library. 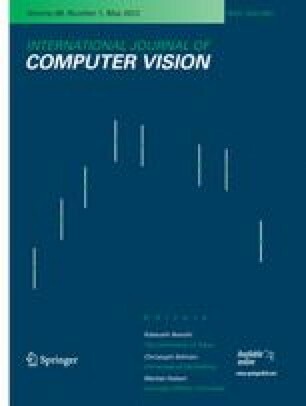 Available at http://www.intel.com/research/mrl/research/opencv/.